But these brands? 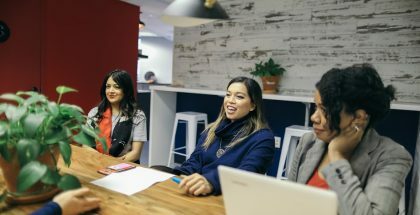 These brands are born and bred here. Whether carrying the borough’s name or not they’re freaking everywhere from the papers, your friend’s parties to impassioned discussions at forced social events. 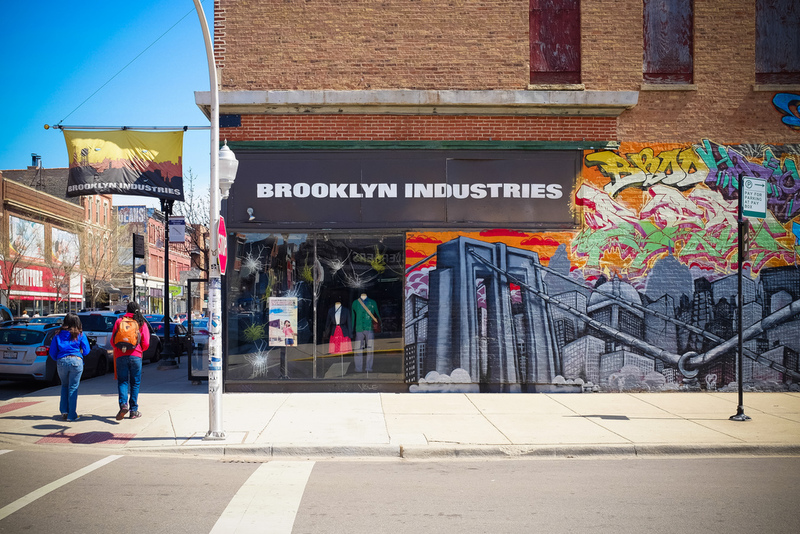 So what are some of Brooklyn’s most recognizable brands? 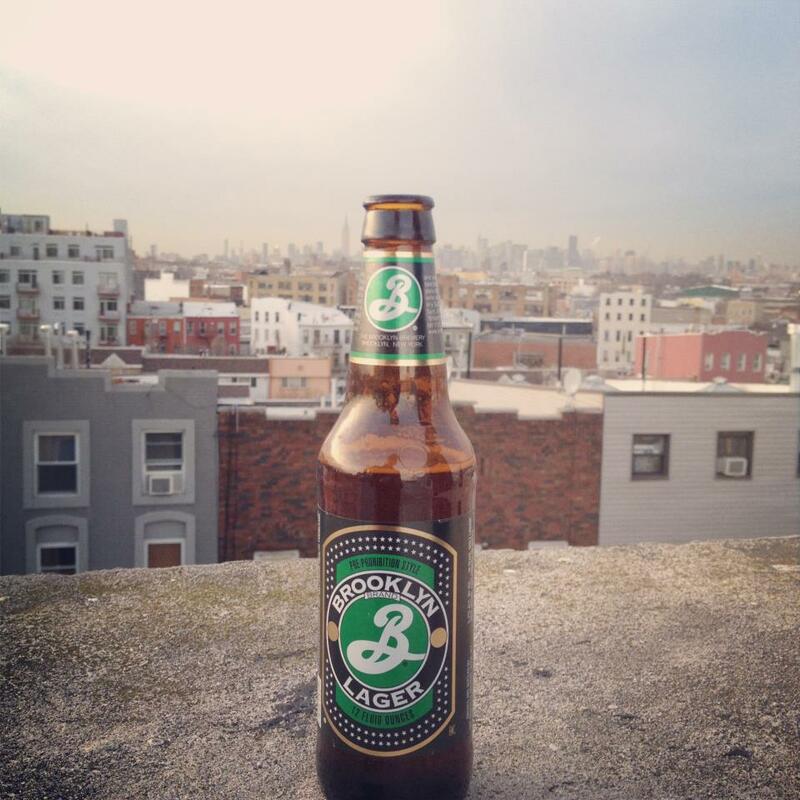 Started by two friends, Brooklyn Brewery has been around since 1987. To give the beer a bit of class their logo was hand-crafted by design legend Milton Glaser who also designed the iconic I Heart NY logo (which is funny because we Heart beer). And it’s a good thing because Brooklyn Brewery’s logo and beer is everywhere-they’re the first American craft brewers to open a distillery in Sweden. 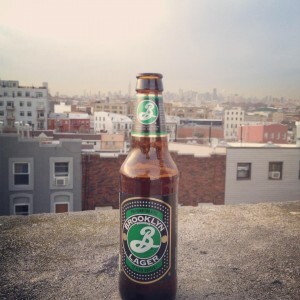 Numbers!According to Inc.com, Brooklyn Brewery revenues were $24.7 million in 2010. The messiahs of cool clothing and accessories have been at it since 1988 having first carved a name for themselves with their messenger bags made out of billboards. Now situated in DUMBO they still retain a 20,000 square-foot space in the Brooklyn Navy Yard for their warehouse and customer service. Numbers! Annual sales are more than $15 million, a number that surely to be affected by this winter’s brutal cold keeping consumers at home and from shopping. Started in April 2008, the Brooklyn Flea has grown to include the food market Smorgasburg where the ramen burger was invented. It’s doppelgangers can be seen from Boston to the Philippines. There are three locations during the warmer months and a 9,000 square foot beer hall and food court in Crown Heights due to open soon. Numbers! 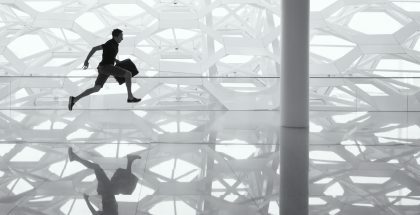 “The business can gross as much as $60,000, based on the fees the vendors pay,” according to a New York Times article. During the war time effort the Brooklyn Navy Yard’s economic importance was pivotal. Post war time it’s reputation in industrial and manufacturing New York has seen a resurgence of 300 industrial businesses like The Kings County Distillery and Steiner Studios, the largest studio outside of California. There are currently a 100 more businesses on a waiting list to call the Brooklyn Navy Yard home. 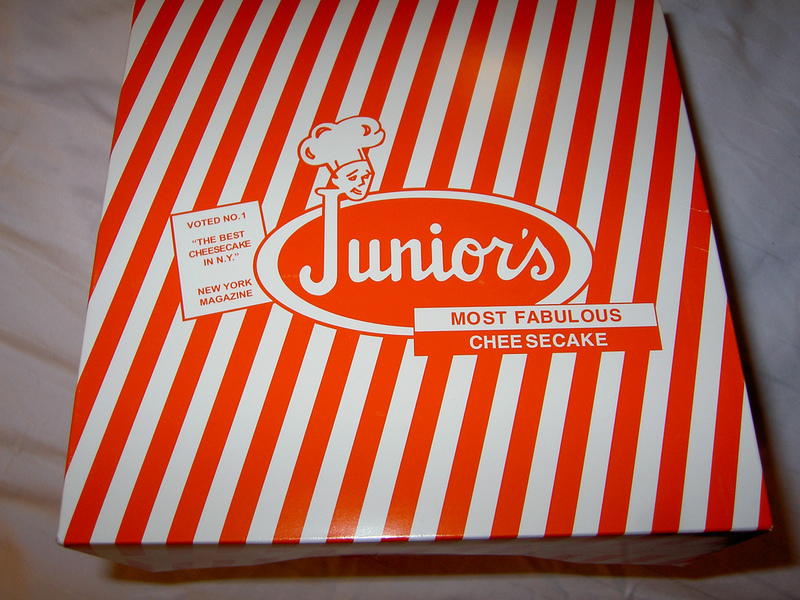 It’s known all over that Junior’s has “The World’s Most Fabulous Cheesecake.” Junior’s references in pop culture are numerous. Whether you agree or not with the notion that the quality of their famous pie has dwindled in the past few years, when word got out that they would be closing New Yorkers everywhere rose a furor. As it turns out the world famous cheesecake isn’t going anywhere. Numbers! 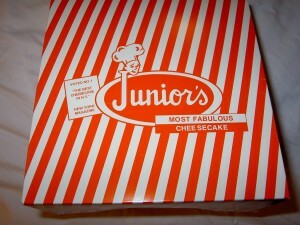 In 2008, the Brooklyn outpost of Junior’s grossed $14.8 million earning it the #35 spot of top 100 grossing restaurants. The Times Square location earned $12.6 million and the 58th spot. 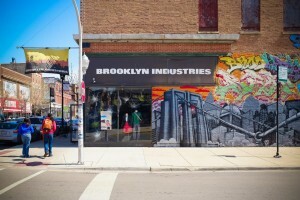 In 2009, the Brooklyn outpost earned $14.4 million, but climbed to the 31st spot. The Times Square location earned $12.2 million dollars and climbed 4 spots to place at 54. Coney Island has been in America’s psyche for centuries. Before there were computers that fit on your lap, even before the fist iterations of mobile phones that resembled bricks the masses came to Coney Island for fun and recreation. So integral to the fabric of history three rides are designated as New York City landmarks: The Cyclone roller coaster, Parachute Jump, and the Wonder Wheel. Numbers! 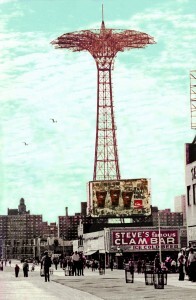 In 2010 Coney Island’s amusement park drew more than 400,000 visitors. 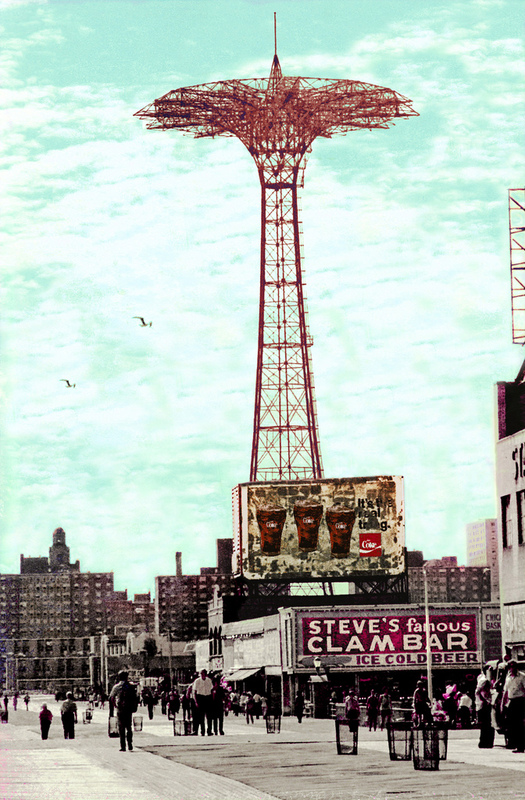 In it’s heyday, the late 1900’s to World War II, Coney Island attracted millions of visitors a year. 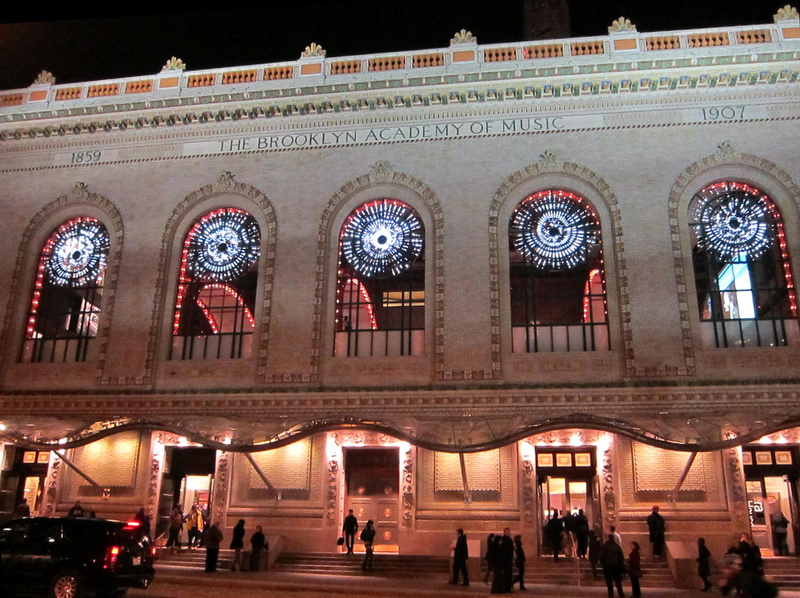 BAM attracts talent and performances on par with those across the bridge. DanceAfrica. Mark Morris Dace Group. BAMCafé Live. Next Wave Festival where Philip Glass and Seal have presenter their works. 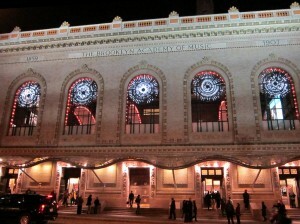 Alvin Ailey, The Royal Shakespeare Company, Frank Langella as King Lear have performed at BAM. We could go on and on. While not landmarked the Peter Jay Sharp Building (pictured above) and the newer Fisher Building are within the BAM Historic District. Numbers! 40,000 people visited the outdoor market of DanceAfrica in 2012. 25,000 people attend the BAMcafé Live. Altogether 140,000 people enjoy BAM events year round.